HAIR TRENDS: a fantastic pony! clean and sharp, a departure from previous seasons. 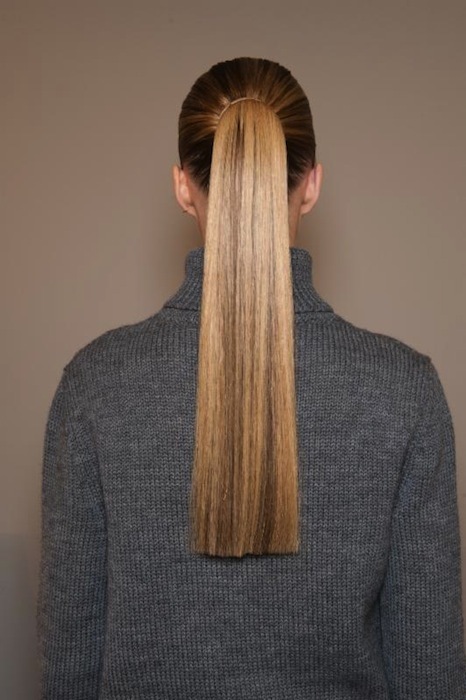 Inspired by 90’s minimalism, Redken’s creative consultant guido created simple hair with blunt lines for BOTTEGA VENETA fall 2014 during Milan Fashion Week. fdmLOVES selects from RUNWAY beauty at BOTTEGA VENETA fall 2014 by Brigitte Segura.